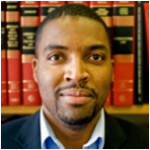 Charles C. Jalloh is currently a Visiting Associate Professor at the Florida International University College of Law and an Assistant Professor at the University of Pittsburgh, School of Law. On September 6, 2013, a majority of Kenya’s National Assembly voted in favor of a motion, introduced by the Leader of the Majority Party, Aden Duale, urging the government to “urgently undertake measures to immediately withdraw” the influential East African nation from the Rome Statute which established the International Criminal Court (ICC). The motion claimed that there has been a “fundamental change in the circumstances relating to the governance” of the country given that President Uhuru Kenyatta and Vice-President William Ruto, both of whom are under indictment by the ICC for alleged involvement with crimes against humanity, were “lawfully elected” under the Constitution of Kenya [PDF] on March 4, 2013. The motion, which also resolved to soon table a law that would repeal the country’s International Crimes Act, which domesticated the Rome Statute, raises several important issues at the intersection of law and politics. I argue that there are compelling legal reasons why the Kenyan government should not heed what the opposition party has described as an “ill considered” recommendation urging the executive branch to make Kenya the first and only country to withdraw from the ICC. I submit that the reputational and other costs of withdrawing from the ICC regime for Kenya far outweigh the largely symbolic political benefits that might be gained from any such withdrawal. This is all the more so because such a move will have no legal effect on the ongoing cases against the three Kenyans indicted by the Court. Contrary to what the majority of the parliamentarians implied through their vote, Kenya’s withdrawal will not stop the cases against Vice President Ruto, President Kenyatta, Mr. Sang, or for that matter, in respect of any one that might additionally be indicted by the ICC Prosecutor. First, it is true that under Article 127(1) of the Rome Statute, a State Party may, by notifying the UN Secretary-General, who is the depository of treaties, “withdraw” from the statute. So, although I hope that this does not happen, Kenya has the sovereign right to withdraw because of the consensual nature of international law. However, the withdrawal would take effect no earlier than one year after the date of receipt of the notification. More fundamentally, for our purposes, withdrawal cannot be used to undermine the ICC’s ongoing investigations and prosecutions. Thus, a withdrawing state is not “discharged, by reason of its withdrawal, from the obligations arising from” the statute during the time it was a party. Second, and perhaps more strikingly, even if the ICC Prosecutor were to decide to commence additional cases before the date that the one-year withdrawal becomes effective, those proceedings would also entail a continued duty for Kenya to cooperate with the court. Fortunately, the drafters of the Rome Statute also anticipated what the court could do if a withdrawing state fails to abide by its legal undertakings. Thus, where it “fails to comply with a request to cooperate by the Court” contrary to the statute, “thereby preventing the Court from exercising its functions and powers”, the court, either of its own motion or at the Prosecution’s request, “may make a finding to that effect and refer the matter to the Assembly of States Parties [ASP],” the guardian angel of the ICC. Plainly, international law skeptics might counter that a finding of non-cooperation and reporting a matter to the ASP is hardly robust sanction. But the reasons why states obey international law, a horizontal legal system wherein reciprocity and good reputation play a strong role in inducing compliance, generally differ from the sheriff at the door logic some associate with individual compliance with laws in vertical domestic legal systems. In any case, the full ICC membership is represented in the ASP, along with other powerful and presumably interested observers such as the US, which now refreshingly plays a more constructive support role for the ICC under President Barack Obama. Viewed against this backdrop, the Rome Statute empowers the ASP to prescribe measures against a recalcitrant state. Article 112(2)(g) mandates it to “perform any other function consistent with” the statute. Presumably, this would enable it to goad a non-cooperating state to act, and by analogy to Article 33 of the UN Charter, to even seek creative solutions through negotiation, enquiry, mediation, conciliation, arbitration, resort to international (say the UN) agencies or regional arrangements (such as the African Union), or other peaceful means of its choice. For its part, assuming follow through in the ASP, Kenya, as the anchor finance and trade hub for the East African region, would risk assuming “impunity friendly” haven status among the community of nations – a status that would also be inconsistent with its long term interests as a largely agriculture and tourism based economy. The Rome Statute does not demand that a country explain its motivations for withdrawal. However, the withdrawal resolution attempted to offer a justification for the proposed termination. It asserted that there has been “fundamental changes of circumstances relating to the governance of the Republic” since the March 2013 elections. And although it is unclear whether the motion’s drafters invoked “fundamental changes of circumstances” deliberately, or inadvertently, such language in the motion does not resonate with the Rome Statute but certainly does with international treaty law. The background rules from the Vienna Convention on the Law of Treaties (VCLT) [PDF], which entered into force on January 27, 1980, covers such situations. Kenya was one of the original signatories to the VCLT, on May 23, 1969, but much like the United States, it has not ratified it. Nevertheless, most aspects of the treaty on treaties are now widely considered customary international law. Furthermore, and in any event, the general rules of international law in the VCLT all appear to form part of Kenyan law pursuant to Section 2(5) of the 2010 Constitution. Under the VCLT, every state has the duty to act properly in the performance of its treaty obligations. Thus, under the pacta sunt servanda rule, “[e]very treaty in force is binding upon the parties to it and must be performed by them in good faith.” This classical principle applies per force to Kenya in relation to the Rome Statute. An important corollary is this: a state may not invoke the provisions of its internal law as justification for its failure to perform a treaty, as the National Assembly seems to suggest through its motion. But, even more problematic for Kenya’s situation, the VCLT is unequivocal that a fundamental change of circumstances cannot be invoked as grounds for withdrawing from a treaty. This is so if the fundamental change is the result of a breach by the party invoking it of an obligation under the treaty. This rule is applicable here. The change of circumstance arising from the general elections, and any withdrawal it leads to, would entail a breach of the obligation to investigate and prosecute crimes under the Rome Statute. It is the failure to comply with that obligation that in turn triggered the ICC’s jurisdiction and indictments. The country must now necessarily facilitate the work of the Court, as required by Part 9 of the treaty. It follows that Kenya cannot, under international treaty law, rely on a fundamental change of circumstances to terminate the obligations contained in the Rome Statute; obligations to cooperate that are explicitly anticipated by the lex specialis rules of the ICC regime as being of a continuing nature (even after a state party decides to withdraw). As the Kenyan Government mulls over last week’s parliamentary recommendation, it should keep two things in mind. Firstly, the ICC is working for the people of Kenya, not against the people of Kenya. By that I mean the hundreds of victims of the post-election violence whose families deserve to get a measure of justice. This includes the 371 Kenyans who currently have formal victim standing and thus a voice in the ICC proceedings, rights that they would not enjoy in domestic trials. Admittedly, the court also needs Kenya, as it seeks to prove itself to the world as a fair and competent court of law. So the relationship is a mutually beneficial one, a win-win, as I have argued more fully elsewhere in respect of the court’s relations with African States. Secondly, the Kenyan leadership should remember that the ICC has, in recognition of this unprecedented situation resulting from the March 2013 elections, acted both pragmatically and flexibly. As part of this, it has continued the liberty of the accused and granted the defendant requests for important accommodations for the trial phase. These would enable the president and his deputy to balance their official functions with their right to appear, consistent with the presumption of innocence, before the court to defend their good name. Consequently, it is against the interests of those personally accused to at once be before the ICC protesting their innocence and pledging unconditional cooperation with the judicial process, only to subsequently endorse measures that would undermine the tribunal’s adjudicative function. As demonstrated here, irrespective of whether Kenya withdraws from the ICC, its obligations to support the crucial justice process started under the Rome Statute will subsist. The cases will continue, so at best, Kenya would only score political points from any retreat from the battle against impunity at this stage. Finally, stepping back to frame a bigger picture for average Kenyans, I note that Messrs. Kenyatta and Ruto enjoy fundamental fair trial rights under Article 67 of the Rome Statute. Foremost, among these, they are presumed innocent until proved guilty before the court in accordance with the applicable law. Therefore, it is not up to the accused President Kenyatta, Vice-President Ruto or Mr. Sang to prove their innocence. Rather, it is Gambian Chief Prosecutor Fatou Bensouda’s job to prove their guilt, if she can proffer convincing evidence to that effect. The burden on her is high, as the law rightly demands that a majority of three experienced judges of Trial Chamber V, presided over by Judge Chile Eboe-Osuji of Nigeria, independently evaluate that evidence to establish their guilt beyond a reasonable doubt for indirectly co-perpetrating crimes against humanity. It is only if such a finding is reached that penalties, and the provisions of the 2010 Constitution that permit the impeachment of leaders, would become an issue. By the same token, as the defendants have insisted throughout this post-election violence saga that they are innocent, they must also be very confident that they can raise a reasonable doubt about the Prosecutor’s allegations. Doing so, in turn, would lead to their inevitable acquittals. Thus, Kenyans must insist that the government exercise restraint and let the ICC justice process take its natural course. The Kenyan case by the ICC is a violation of the sovereignty of the people of Kenya. To the best of my recollection this is the first time in the history of international trials that a sitting head of state democratically elected by his people, enjoying the full confidence of his people is being subjected to the indignity of a trial outside his country for committing alleged crimes against his own people. Just look back into history, the indictment of Kaiser Willhelm after the First World War,(though Netherlands refused to surrender him), Doenitz Germany’s Head of State after Hitler, Milosevic, Kambanda, Saddam Hussein etc. All these were bloody dictators and war mongers who used the machinery of Government to commit devastating crimes.They were evil men who were pursued accross the battlefields, captured and brought to answer for their awful crimes.The awfulness of the deeds committed by these criminals was that they converted the legitimate organization of state into a criminal enterprise. The Kenyan case is different. The accused persons are Head and Deputy Head of State who were not in office when those crimes were committed.The Kenyan people demonstrated their confidence in them by voting them to the offices they hold, and the country is so peaceful that Moreno Ocampo or Fatou Bensouda could always take a holiday there and self drive themselves to and from the Airport through first class highways without any need for a security detail. Kenya and Africa by extension has become a soft target for the International courts whether it be the ICTR,SCSL or now the ICC. The ICC was not created for soft spots but for those states that are so devastated by armed conflicts that intervention by the ICC becomes unavoidable. In my view the jurisdiction the ICC is exerting over Kenya is exorbitant and misapplication of Article 27 of the Rome Statute. Many thanks for your response to my op ed. While you are right that this is the first time in recorded history whereby two persons charged with international crimes by an international criminal tribunal have been elected to the highest political offices in their country, I regret – although it will not surprise you – that I disagree that the Kenyan cases is a violation of the sovereignty of the people of Kenya. Rather, in my humble view, the cases represent the very essence of the sovereignty of the people of Kenya. Keeping in mind the presumption of innocence, they send a message that even the most powerful Kenyans, who might not otherwise be accountable by anyone in a national criminal court, that the buck does stop somewhere. In other words, no one, no matter how powerful, no matter how rich, or how influential, is above the law. Clearly, Kenya as a state exercised its sovereign right, presumably because the government at the time felt that this was in the best interest of its people, to join the ICC regime as a way to help put an “end to impunity” for those who foment certain international crimes if they ever occurred on its territory. The prosecution of such crimes, as you know, is far too infrequent, especially on the African continent. In relation to Kenya specifically, the CIPEV Report was clear on the point that the 2007-2008 PEV was not a one off, but part of an old pattern of behavior in which powerful people use, or more aptly abuse, their positions of authority to do what they want during elections, secure in the knowledge that they would get off scot free. Why? For a simple reason: they have all the power. And because they do, no one in the domestic system would dare lift a finger to genuinely investigate or prosecute them. Obviously, if we fast forward a few years from the PEV, it seems quite convenient to forget the scores of Kenyan victims who were murdered or otherwise harmed by the brutality of the militia and others. Equally obviously, one can even hide behind the sovereignty of the people, as a way to oust ICC jurisdiction, simply because we wish powerful brothers to be left alone by the only available justice mechanism that could reach and prospectively touch them (depending on the strength of the prosecution’s evidence). The self-serving nature of the situation in which we find ourselves cannot, or rather should not, be dismissed merely based on sovereignty arguments. Finally, no disrespect intended, we have heard the repeat of the same old argument about the targeting of Africa by the ICC. As I have argued at length elsewhere, in a July 2009 article, the best defense against any such perceived targeting is to ensure that a) Africans settle their differences peacefully and not commit international crimes against each other in the first place; and b) that if our prevention efforts fail and they do, that African states would jump at the opportunity to investigate, prosecute and punish those responsible, including the leaders. After all, under the ICC treaty, it is the 34 African states parties, including Kenya, that enjoy the first right to prosecute such offenses. And the Hague based court will have had no way to legally be involved if the deal the Kibaki government made with Ocampo several years ago to prosecute the crimes domestically or through STK were honored. Let me first thank you both for your analysis and respond to Boniface’s reply first. I will come back to contribute to the original post later. With all the respect Boniface, I will resume your argument by saying that it means: “I killed them but they were my kids; I am saying to the rest of the world up yours!”. Please don’t see any disrespect in my argument; I am also really concerned about the fact that most international criminal trials these days concern African perpetrators – which also means African victims. Let me then continue, although it is hard to evaluate the impact of the present trial on the last held elections where both the Kenyan Head of State and his Deputy – both indicted – were elected, one can still hold that the deterrence effect of the trial shadowed the peaceful evolvement of those elections. Coming back to the Charle’s analysis, I will say without joining the skeptics that the ASP has already made its choice not to follow the line of your Art 33 (of the UN Charter) analogy. According the Assembly procedures relating to non-cooperation, the Assembly chose to use the good offices of its Bureau’s president and a lot talk but no concrete way to sanction any non cooperating State. To be realistic, we need to be aware that we are still far from a situation where the ASP and even the UNSC – as it is the practice of the Court to inform both the ASP and the UNSC of States parties non cooperation based on Art 87 (7) of the ICC Statute – will help to sanction non cooperation. In this sense, the records of the ICTY clearly support the lack of action of the UNSC. I think that, maybe a “creative solution” needs to come from States parties themselves based on the use of the Draft Articles of the Responsibility of States an Internationally Wrongful Acts. In fact, non cooperation of a State – in this case Kenya as it ratified the Statute and will remain obligated to cooperate for the actual cases even if it then unratify – can be interpreted as an internationally wrongful act. Kenya is an independent and sovereign state. By her laws and Her socio-economic activities (ratification of the Rome Statute,Sports and trade among others),Kenya is a member state of the international community. African Union (AU) must not test waters through calls for kenya’s withdrawal from its international membership. Its more than five (5) years since crimes against humanity befell our country and AU was nowhere and has never made its voice for the victims and hence lacks the moral authority to champion for the withdrawal. binds all persons and all State organs at both levels of government. (2)No person may claim or exercise State authority except as authorized under this Constitution. this Constitution is void to the extent of the inconsistency, and any act or omission in contravention of this Constitution is invalid. (5)The general rules of international law shall form part of the law of Kenya. the law of Kenya under this Constitution.